This Thursday, April 11, Morbid Anatomy hopes to see you at Brooklyn's Observatory at our "Lover's Eye" event, a night dedicated to enigmatic portrait miniatures featuring only the sitters eye that were often used to commemorate illicit love affairs in the 18th century. The lineup will consist of an illustrated lecture tracing their history and resurgence in contemporary art, as well as a one-night-only mini exhibit of actual antique examples from a private collection. 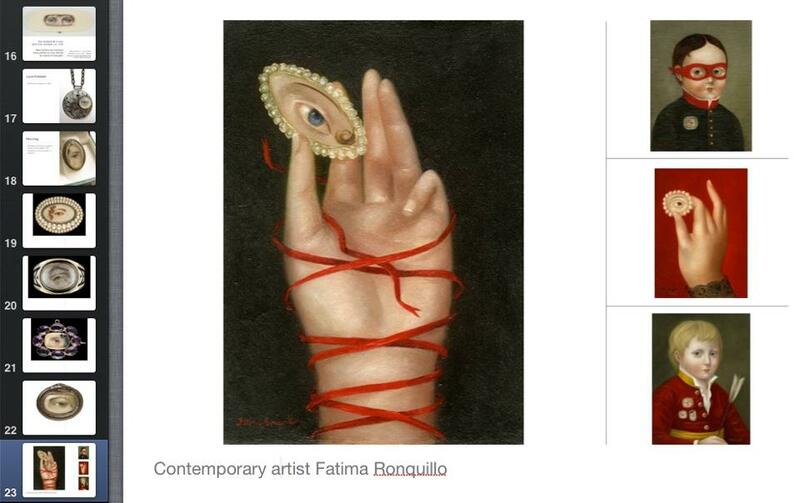 See top image for a special sneak preview of the lecture! We also are excited to announce our newly added "Masonic Slapstick" evening, which will take place on Tuesday April 30 and explore the work of the DeMoulin Brothers, leading makers of "initiation prank devices" for the masons and other lodges. 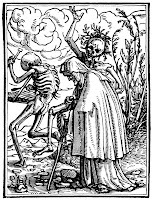 It will begin with an illustrated lecture by John Goldsmith, Curator of the DeMoulin Museum, followed by a one-night-only exhibition of initiation devices curated by Mike Zohn, co-star of TV's "Oddities". 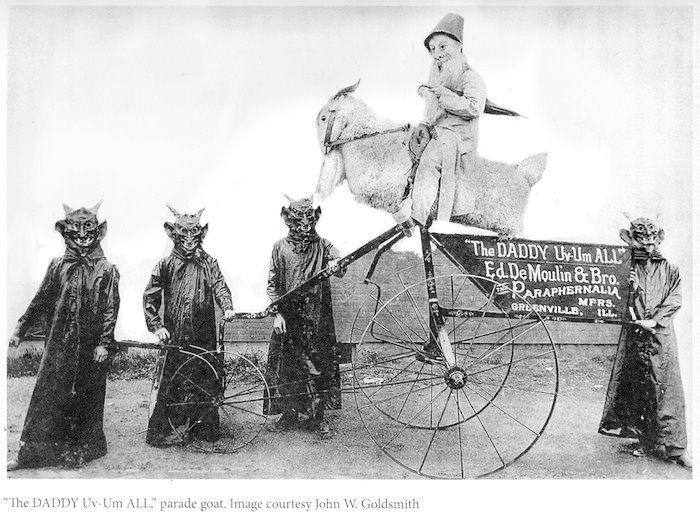 The second image down shows one of the DeMoulin Brothers's works, a "Parade Goat." We are also excited to announce a new, typically inspired class by Morbid Anatomy Art Academy's regular instructor Lado Pochkua. 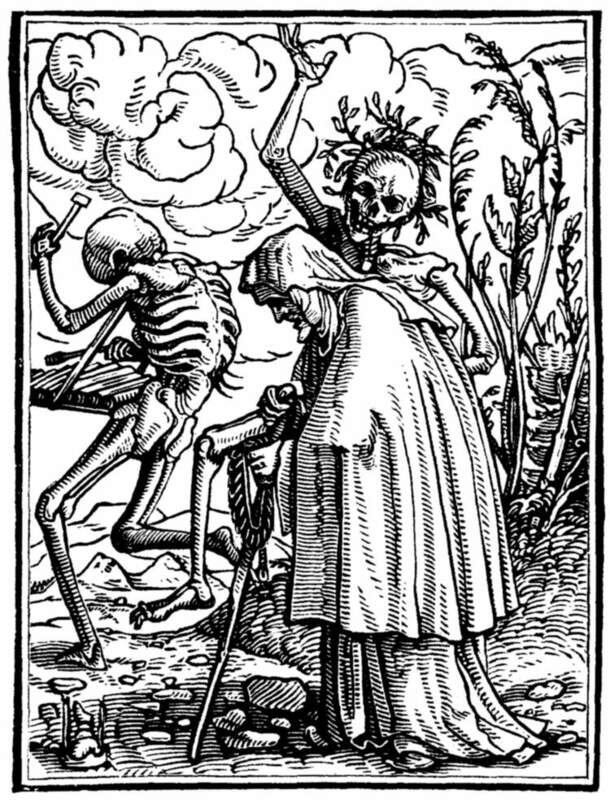 In this class, entitled "Dance of Death by Hans Holbein: A Linocut Workshop" (Mondays May 20, 27th and June 3, bottom image) students will learn the techniques of woodcuts and linocuts by creating a copy of one of Hans Holbein’s prints from his 1538 Dance of Death series, and will leave class with their own finished Dance of Death linocut and the skills to produce their own pieces in the future. Other upcoming offerings include taxidermy, hair art, anthropomorphic insect shadow box AND bat skeleton dome workshops, Rest in Pieces book party, and a special London-based series this June and July. Full details follow. Hope to see you at one or more of these terrific events!